On the night of 9th April 1886, two years before his death, Don Bosco had a dream in which he saw the future expansion of his work for youth. He saw himself surrounded by an immense crowd of youngsters. A shepherdess, the same he had seen in a dream at the age of nine, appeared and asked him to look to his left and read what he saw. He saw a mountain and a sea and then hills and then again further mountains and seas and read the words VALPARAISO and SANTIAGO. The shepherdess then asked him to look to his right, and he saw mountains and seas and read the word PEKING. He then saw a brilliant streak of light starting from Peking and ending in Santiago, passing through the heart of Africa. And then, there appeared from Santiago to Central Africa ten Don Bosco Institutions. A little later there appeared from Central Africa to Peking ten other institutions. Over these he read the names of three great cities - Hong Kong, CALCUTTA, and Madagascar. "How am I going to do all these" Don Bosco asked. "The distances are so immense and I have so few men to help me". "Do not be afraid"! The shepherdess assured Don Bosco. This will be accomplished by your followers and the followers of your followers and their followers". The dream became a reality when the Don Bosco Fathers and Brothers came to Calcutta in 1925 and took charge of the Catholic Orphan Press, on the grounds of the Catholic Cathedral Portuguese Church Street. The Cathedral grounds and buildings belonged to the Archdiocese of Calcutta and the Don Bosco Fathers and Brothers felt they needed a place of their own to give permanency to their work, which was basically educational and youth oriented. Their target was a plot of land big enough for a school. The project received a big boost when in 1952, Fr. P. Doro, in-charge of the Don Bosco Charities Fund, struck gold - the First Prize in the Irish Sweep. The search for the land intensified. However, whatever land was, available was found too small or unsuitable. In 1954, negotiations were started for the purchase of Ezra House on 2, Kyd Street. However, Don Bosco Fathers lost the place to the Government who wanted it for their own use. The search continued. By the year's end, it was discovered that a plot of land on 73, Tiljala Road in Park Circus area was for sale. Adjacent to it was another plot divided by a wall: 23, Darga Road. The owner of that plot too was willing to sell it. Rev. Fr. R. Ziggiotti, Rector Major of the Salesian Congregation visited Calcutta in January 1955. He encouraged the purchase of both the plots and advised acquisition also of a stable which adjoined the Tiljala property. It was the desire of the Rector Major that Don Bosco should have a great institution in this Metropolis. Things moved rather fast after that, the first approaches for the acquisition of the land were made on 24th February 1955. The contract for 73, Tiljala Road was signed on 24th May 1955. A few days later 23, Darga Road too was acquired. The first milestone in the history of Don Bosco Park Circus had been crossed. On September 12, 1955 the Calcutta Corporation granted permission to begin construction. The work began on 24th September and was entrusted to the Firm, Guin and Co., under the supervision of Fr. Guido Colussi. On January 31, 1957 at 5:30 p.m., His Grace Dr. F. Perrier, Archbishop of Calcutta, blessed the cornerstone of the new school. The ceremony was also attended by his Lordship Dr. P. Tobar, Bishop of Cuttack, Rt. Rev. Msgr. Eric Barber, Vicar General of Calcutta, and a large number of distinguished persons. In November 1957, Rev. Fr. Charles Dyer was appointed the first Rector and Principal of Don Bosco Park Circus. He took charge on December 15. January 15, 1958 was fixed as the target date for the opening of the new school. However, much remained to be done before the school could be ready for opening, even though the work under the able and dynamic supervision of Fr. Guido Colussi, progressed at a phenomenal pace. Meanwhile, Fr. Charles Dyer, along with Fr. P. Doro and Fr. Guido Colussi, began taking admissions three times a week. 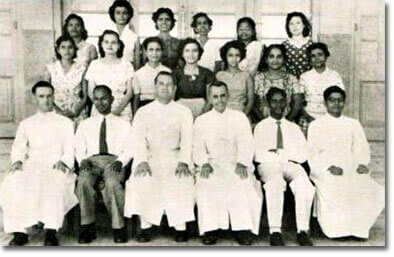 Teachers were recruited with the assistance of the Loreto Sisters, who also helped in the admission of the students. By the end of December, the building was nearly complete and most of the furniture got ready. With about 460 boys on the rolls, the admissions were closed. 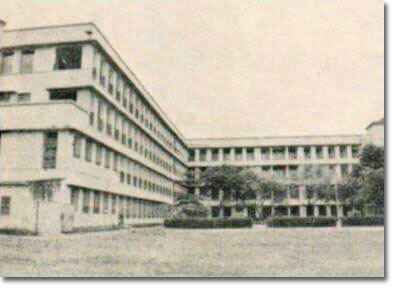 On January 15, 1958, Don Bosco School Park Circus opened. The children flocked in, accompanied by eager parents. There were three Loreto Sisters at hand to help. There were 12 ladies on the staff and 460 students on the rolls. Fr. P. Doro and Fr. Dal Broi taught Moral Instruction and Fr. Sasso took Catechism for the Catholic students. Don Bosco's educational work had started with a simple Religion lesson on December 8, 1841. And Don Bosco, Park Circus, faithful to tradition, also began the day with classes in Religion. Everything went smoothly on the first day of Class and the parents were pleased. Classes were dismissed early at 10.45 a.m. A new star had appeared on the educational horizon of Calcutta. That was the beginning 50 years ago. Don Bosco's dream of 1886 had come true. His name had been stamped on to the' heart of the city he had seen in a dream. And Within the brief span of 50 years that name would cut deeper and deeper into the heart of the city until it would carve out for itself the pride of place among Calcutta's educational institutions.